If you have been to Las Vegas lately and seen the new trend in Oxygen Party Bars, you have probably wondered how safe they are and if they live up to their claims. Their claims are mainly to help with head aches, hangovers, migraines, stress, fatigue, cramps, jet lag, heat exhaustion and minor aches and pains. In most part these claims are true, and the effect is surprisingly fast, about 3 to 5 minutes. However if you are young and healthy, you probably don't need oxygen as your blood is probably carrying the maximum amount of oxygen to the cells of your body. if you are not a healthy 21 years old, and suffer from some of the above conditions, you will be amazed at how effective an Oxygen Party Bar will reduce these symptoms. Most Oxygen Party Bars are dispensing oxygen via a nose canula at a maximum rate of 4 liters per minute of 95% oxygen. When dispensed through a nose canula the oxygen is combined with the natural air you are breathing through your nose and the percent of oxygen delivered to the lungs is less than 95%. The lungs transfer the oxygen to your blood and your blood carries the oxygen to every cell in ones body causing an invigorating effect; and the person experiences a natural euphoric high, similar to a runners high. It is clear headed, legal, and healthy for the body. On a longer term basis, oxygen flushes impurities and toxins (Free Radicals) out of the blood which are recognized as a major factor in causing many forms of cancer. If you are young and healthy, your body does this naturally. As you age, and your normal blood oxygen level declines; you are more susceptible to the causes of cancer. Oxygen does not cure cancer, but it can prevent some forms of cancer from starting and your recovery from treatment can be greatly enhanced. Oxygen is also has an anti-inflammatory benefit. Oxygen accelerates ones healing abilities. When one pumps iron, you are advised to wait a day before working out again. With oxygen, the muscles heal faster and your can work out more regularly. Many believe that oxygen will help people recovering from chemotherapy and surgery and speed their recovery. Weight loss is another unheralded benefit of Oxygen Party Bars. As we age, our metabolism slows down and we tend to gain weight. Concurrently with this aging process, our blood oxygen level declines. By raising the oxygen levels in the blood, the body burns calories more efficiently and we can reverse some of the weight gaining process that accompanies aging. If one watches his diet they can experience weight loss on a slow natural level when combined with a 10 minute weekly sessions of oxygen. The 95% level is important as that is the point where oxygen becomes a regulated gas and a doctors prescription is required. Levels above 95% are classified as medical oxygen and levels below 95% are classified as recreational oxygen and do not require regulation. The oxygen concentrators used by oxygen party bars are designed for recreational oxygen use only. The Federal Food, Drug and Cosmetic Act says that any type of oxygen used by people for breathing and administered by another person is a prescription drug. However the American Pharmaceutical Association which regulates prescriptions does not require a doctors prescription unless more than 95% oxygen is administered. It seems only natural a cutoff level is appropriate, because our atmosphere is recognized at 21% oxygen and that does not require a prescription to breath. The one area you should be concerned is the canula. Oxygen Party Bars do not recycle the nose canulas. Every new customer should receive a new sanitary nose canula. Obviously, you do not want to use a nose canula that has been in someone else's nose. When you are done with your oxygen session, you are usually given the nose canula as a souvenir to keep. The Pharmaceutical Good Manufacturing Practice requires that oxygen party bars use a fresh canula with each new customer. Canulas are designed to be disposable and recycling of canulas is not allowed. Oxygen in its pure form is dry, and the American Lung Association says that oxygen in excess of 4 hours can be an irritant to ones lungs, When receiving oxygen from an oxygen party bar, the oxygen is usually sent through an aroma scented liquid which is increasing the humidity level and preventing the oxygen from being an irritant. The 4 hour limit is probably a good rule to follow because we don't want to get excessive on any one thing. If one was to receive 4 hrs of oxygen a day, every day, their lungs would probably adjust to the higher oxygen levels and they could find themselves short of breath when walking. This is the same effect as going to a higher altitude. Ones lungs will adjust to the level of oxygen present and excessive oxygen is not a good thing. Fortunately this is not a permanent problem and your lungs will adjust to normal when the excessive oxygen is stopped. We recommend one 10 minute oxygen session once or twice a week for most people. The aroma scented liquids used in an oxygen party bar are made with food byproducts and no oils or chemicals are used to create the aromas. This is important to know as many aromas used in aromatherapy are oil based and should not be inhaled. Oxygen party bars combine food byproducts such as orange peals and distilled water to generate the aromas. Being oil and chemical free, it is safe to inhale the aroma scented oxygen provided at oxygen party bars. Many informed experts compare the oxygen party bar trend with bottled water 25 years ago. As people became aware of the benefits of bottled water, they quit drinking tap water and started paying $1 for a small bottle of water. Today people are recognizing the benefits of breathing increased levels of oxygen and are building oxygen party bars into private homes to help improve their quality of life. 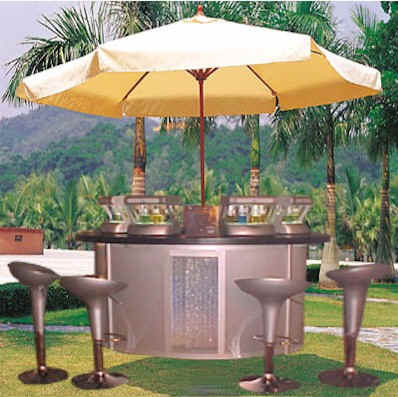 Oxygen party bar rentals is another growing trend in the industry. Many fairs, festivals and concerts now have oxygen party bars, and people are starting to rent oxygen party bars for their parties. Most oxygen party bars are stationary in a brick and mortar business, however, to meet the needs of party rentals, many portable oxygen bars are now setup to cater to private events. You can find them by searching Google for "Oxygen Party Bar Rentals"